Re-imagined the Chase brand from the ground up, with Chase What Matters. Launched the now iconic Sapphire and Ink credit cards and their Ultimate Rewards service, and crafted their response to the 2008 financial crisis. 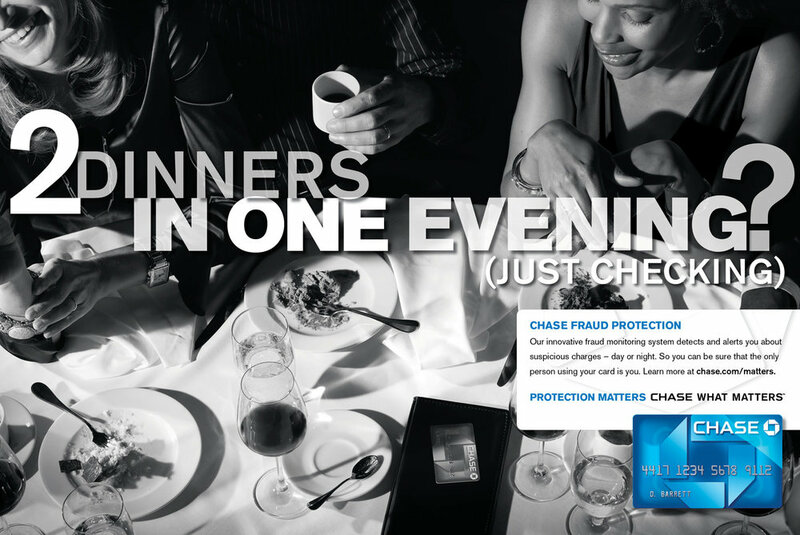 The launch campaign for Chase's first affluent credit card. Yes. We made stripper names affluent. Select branches were transformed into high-end jewelry displays. 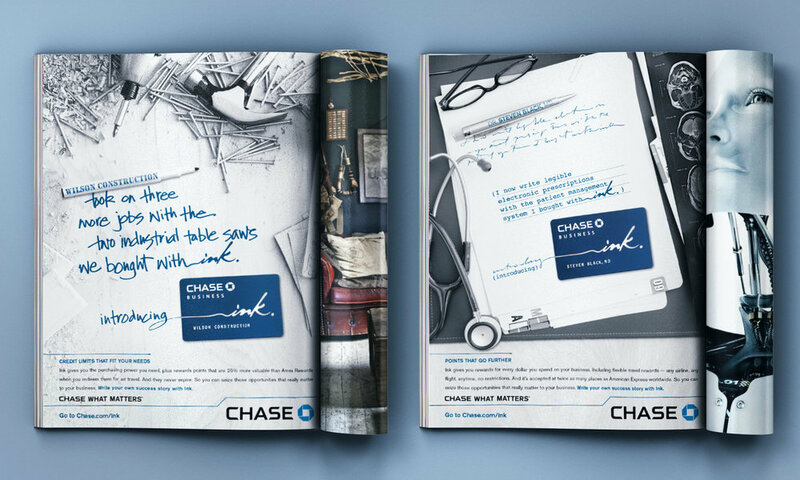 Launch campaign for Chase's first small business credit card, Ink. 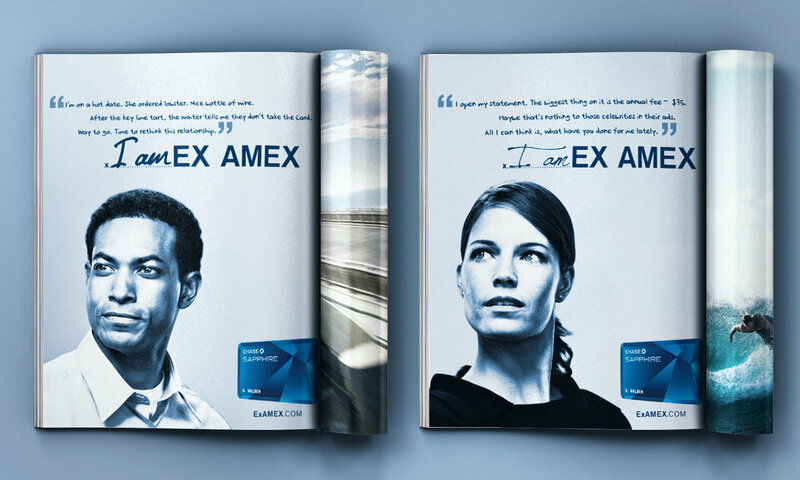 As the dominant competition, Chase wanted to take on AmEx directly, assailing their core weaknesses and encourage attrition among AmEx members looking for a change. Ultimate Rewards lets Chase customers redeem points for pretty much anything. Magazine ads with removable adhesive ribbon stickers let customers bookmark the items they wanted in each publication. 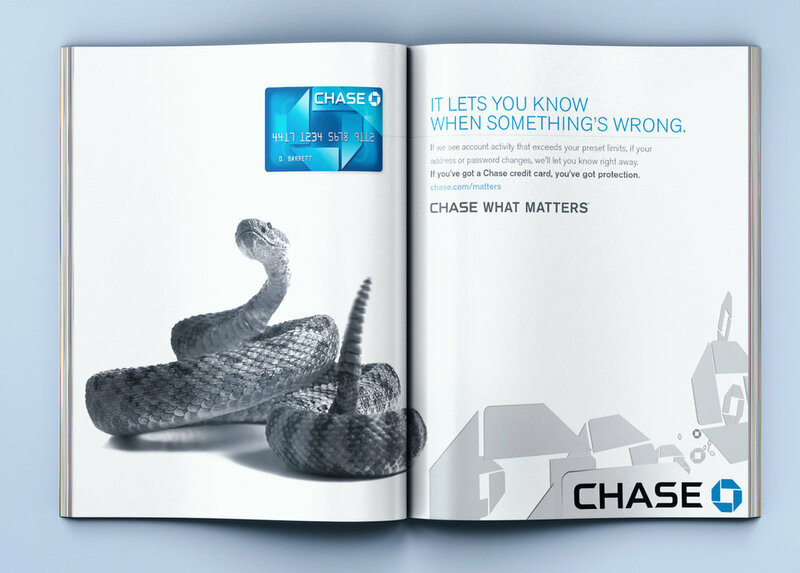 I spent two and a half years developing and re-branding Chase's brand identity to be under a single communications umbrella of Chase What Matters. From OOH, to icon sets. 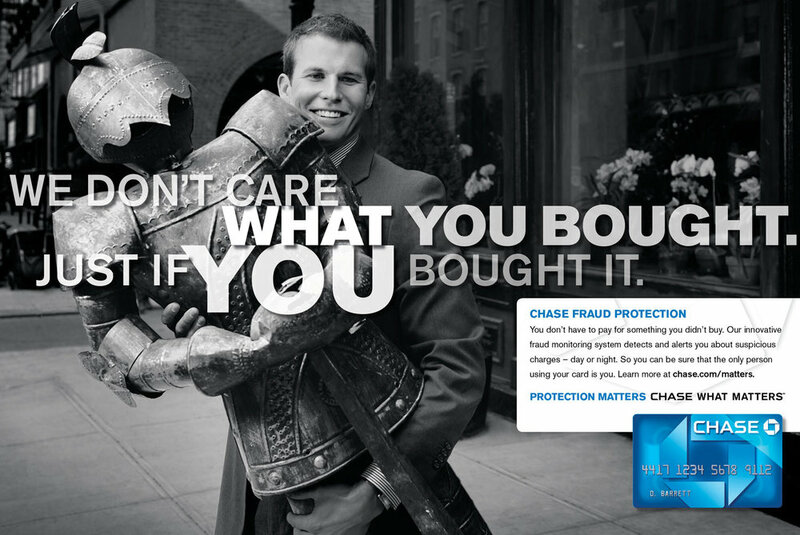 Two campaigns promoting Chase credit card's automatic fraud protection measures. Chase needed to remind customers of their dominant ATM count. They utilized their role as an official sponsor of several regional sports teams and of the US Open where they were the exclusive ATM service at Flushing Meadows. JPMorgan's CEO, Jamie Dimon rang us after brokering a deal with the Feds to salvage Washington Mutual. He needed a campaign fast, to reassure the millions of WaMu customers and stem attrition. Borrowing from WaMu's own tone, a lighthearted series of ads were created virtually overnight. the financial services sector, including B2C and B2B. If you have a project in mind, let's talk.